Six years ago, Callie Wellman’s husband and her best friend were killed in a fiery crash, exposing an extra-marital affair that left their respective spouses stunned by the unthinkable betrayal. Mired in mutual grief, Callie and Sam Edwards turned to one another in a single night of unplanned passion but by morning Sam had disappeared without a word. 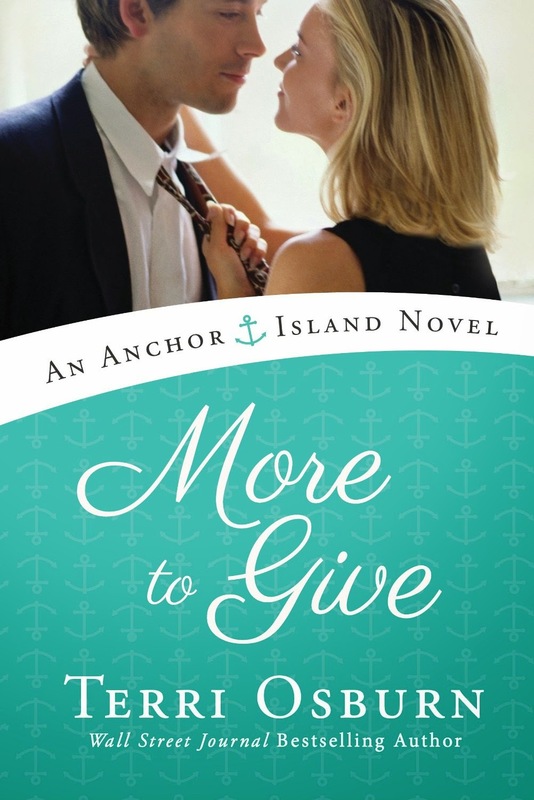 Callie moved on and with the help of therapy became a stronger person, returning to college and excelling in her chosen career – a career that has brought Callie (now using her maiden name of Henderson) to Anchor Island and a job interview with Sam. Will Sam remember her? Will he judge her on her merits or hold their spouses’ betrayal as well as that one night they shared against her? Callie desperately needs this job to take her career to the next level. Sam holds her future in his hands…in more ways than she can imagine. Sam Edwards is counting the days until he’s able to leave Anchor Island. Tied to the island by the terms of his uncle’s will, he just wants to get the remodeling of his uncle’s inn completed, find a loophole in the will and get back to the mainland. He has no ties to the island, in fact, has made sure to not form any. Sam has become an expert at burying himself in his work, holding himself apart from the islanders, refusing to bring the ghosts of his past into the open and deal with them…until the day his past walks into his office - a beautiful, strong woman more desirable than ever - and turns his well-ordered, sterile life upside down. Terri Osburn’s Anchor Island has become one of my favorite fictional places to visit. She brings the slow-paced, laid-back island to life through the well-formed main characters and quirky old-timers who call the island home. Her stories are well-paced, heartwarming, often humorous and filled with the passion and pathos of real life. While I have enjoyed all four books in the series, More to Give edges out Meant to Be (Book #1) as my favorite. Callie and Sam have more than their spouses’ betrayal to overcome before they can claim a happy ending which makes that happy-ever-after all the more sweet when it finally occurs but it’s not a destination that they can reach on their own. They’re going to need a little help from their friends, including two irascible old men with a love of bickering over checkers, a gangly teenage boy who thinks he’s all that but blushes at the drop of a hat, our favorite couples from the first three books and, not to be forgotten, a fast-talking parrot with a gourmet cracker habit. I want this book!!! I love her books! It's such a good book! I hate to see Terri Osburn leaving Anchor Island but she wraps up the series with a wonderful story that still has me thinking about the characters I grew to love. Is on my TBR list.. I am just getting into this series... I know I have a lot of good reading ahead of me. Well, now I'm sitting at my desk crying. I am a huge fan of Terri's & I just started this one today. Loving it so far! Sounds good. I like this kind of a setting for books. It is another series I will need to check out. Thankfully there are only 4 books to catch up on. Thanks for the review.